Bill Humphries joined Valeant Pharmaceuticals on January 2, 2017 as Executive Vice President, Company Group Chairman for Ortho Dermatologics and OraPharma. Bill has more than 30 years of experience in the specialty pharmaceutical industry, with more than 26 of those years focused on the commercialization of dermatology specialty pharmaceutical products globally. Previously Bill was appointed CEO of Merz North America in March 2012, where he oversaw strategic direction and collaboration among three North American companies: Merz Pharmaceuticals, LLC, Merz Aesthetics, Inc. and Merz Pharma Canada, Ltd. Bill also served on the Merz Pharma Board and was the Chairman of the Merz, Inc. Board of Directors. Prior to joining Merz, Bill served as the President of Stiefel, a leader in global dermatology and skin health, where he spearheaded two major acquisitions, and led the global integration of Stiefel into GlaxoSmithKline. In August 2009, Bill was appointed President of Stiefel, a GSK company, after GlaxoSmithKline (GSK) successfully acquired Stiefel Laboratories in July 2009 for $3.6 billion dollars. Bill was a key leader in this transaction and the commercial lead for the global integration of Stiefel into GSK. From April 2008 to August 2009, Bill served as President of Stiefel Laboratories. Previously, Bill was Senior Vice President, US Commercial Operations and Chief Commercial Officer. Beginning in April 2006, he served as a member of the Company’s Board of Directors. Bill was a key leader in two major acquisitions for Stiefel: Barrier Therapeutics, Inc., which completed in 2008, and Connetics Corporation, which completed in 2006. During his tenure at Stiefel, Bill spearheaded the development of the company’s global commercial infrastructure, commercialization of its product portfolio, and managed worldwide operational initiatives. 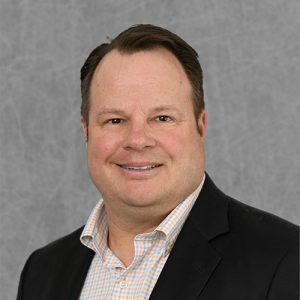 From 1996 to 2004, Bill served in numerous executive roles in sales and marketing, business development, and international marketing for Allergan, Inc. He completed his tenure with Allergan, Inc. as Vice President US Skin Care, where he successfully led the Skin Care business back to profitable growth and was a key colleague in the launch of Botox Cosmetic to Dermatologists. Bill currently serves on the Board of Clearside Biomedical, is the Chair of the North Carolina State University Global Luxury Management Board and serves on the Aclaris Therapeutics Board. Bill received a Master’s degree in Business Administration from Pepperdine University in Malibu, California. He completed his undergraduate studies at Bucknell University in Lewisburg, Pennsylvania, earning a Bachelor of Arts degree.